Subtle yet WoW! 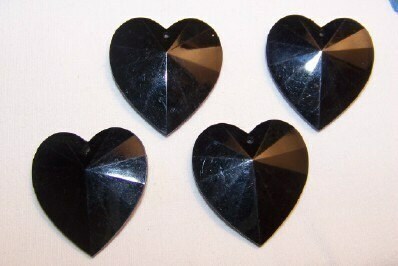 These are vintage lucite black faceted hearts. They are perfect for chunky charm bracelets or used as a pendant. These measure 33mm X about 5mm. You will receive 4 of these.